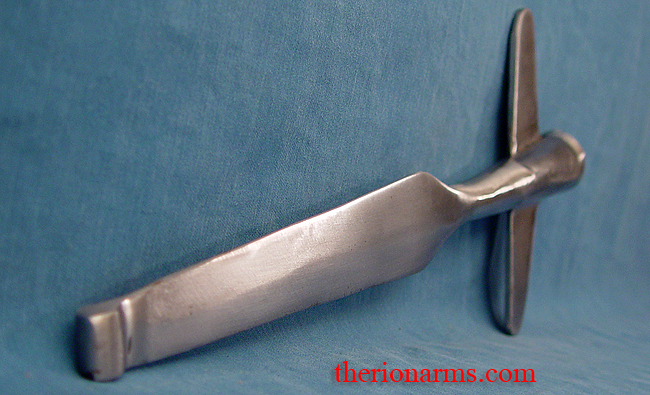 Socketed spear head for training and reenactment combat purposes. 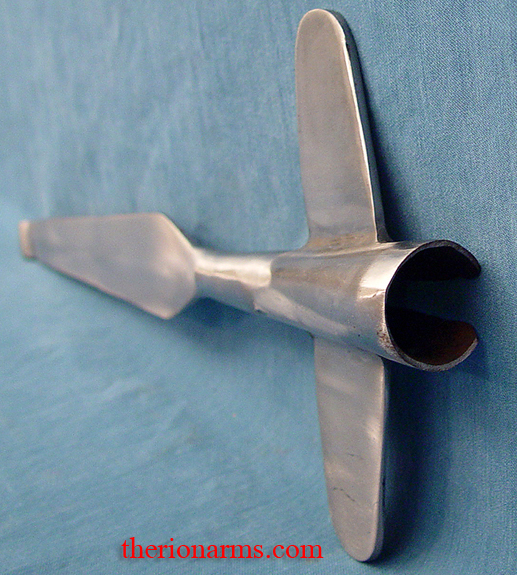 3mm blade edges. 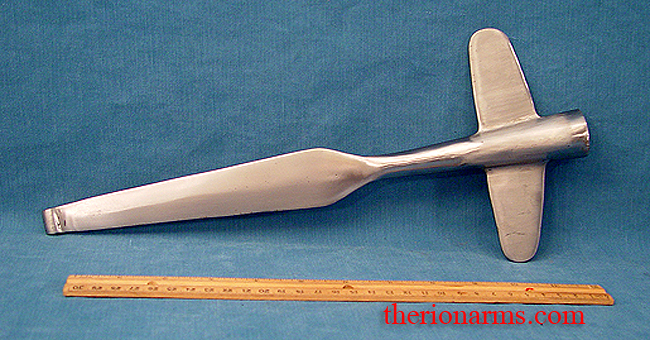 This is the second generation winged spear head - the first generation had squared wings. 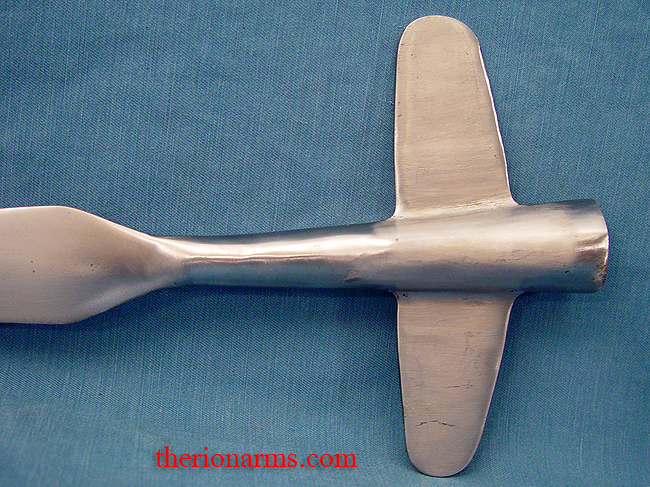 The rounded wings on this second generation are "safer" (as far as poking at each other for fun with bits of metal on the ends of long shafts can be considered "safe"). Made by GDFB - Get Dressed For Battle.